Love must be in the air on the Supergirl (2015-) set. Supergirl herself Melissa Benoist, 28, was spotted kissing co-star Chris Wood in Cancún, Mexico. According to the Daily Mail, the pair was there on vacation, and they just couldn't keep their hands off of each other. A source told E! News that the two actors "kissed passionately several times" and "appeared to be in their own world." "They didn't appear to care who watched their passionate embraces," the eyewitness continued. Rumors of the actors' relationship started just one week earlier, after Benoist was seen walking Wood's dog and again after Wood, 28, was later seen catching a flight with the actress at Los Angeles International Airport. The new couple, who wore matching black bathing suits on the beach, recently split from their former partners in the last few months. In Dec. 2016, Benoist filed for divorce from her husband of two years, Blake Jenner, 24, whom she had met on the set of Glee (2009-15). Wood, on the other hand, reportedly called it quits with his girlfriend and former Containment (2016) co-star Hanna Mangan Lawrence in Jan. 2017. We suspect that the couple's budding romance was sparked by their on-set chemistry. 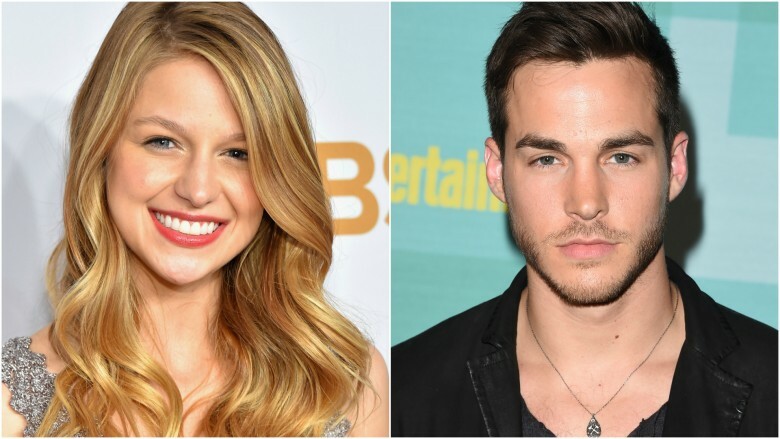 Wood plays Mon-El, an alien love interest to Benoist's character, Kara (AKA Supergirl). Can't wait to see more of this super celeb pairing? You won't have to wait much longer. Supergirl returns April 24, 2017 on the CW.